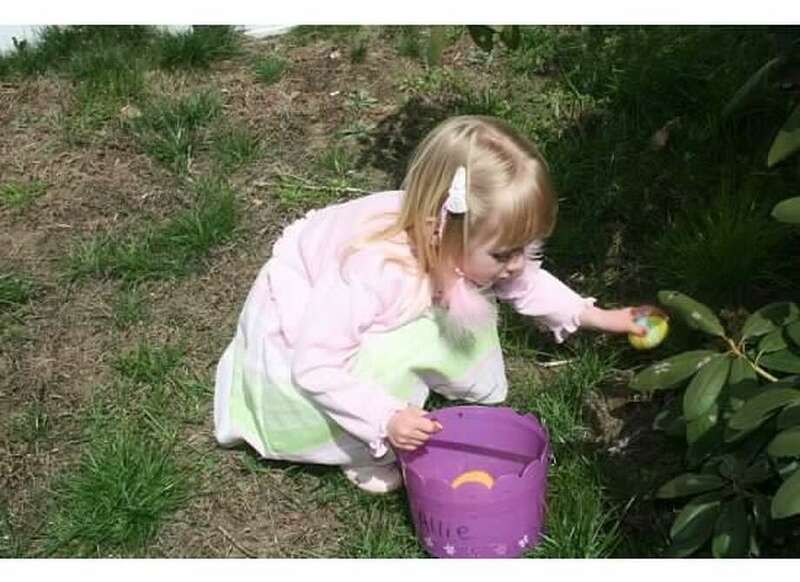 The annual egg hunt will take place April 20 at the Center at Fairfield. The Burr Homestead Gardens Advisory Committee will present the award-winning documentary on the life of legendary landscape designer and architect Beatrix Farrand on April 24 at the historic Burr Homestead in Fairfield. The filmmaker Karyl Evans, a six-time Emmy Award winning filmmaker will introduce the film. The proceeds of this event will help in restoration and enhancement of the four-acre public property located behind the Burr Homestead. In an age when a middle or upper-class woman’s sole aim in life was expected to be marriage and children, Beatrix Farrand instead went to Harvard and Columbia, and opened her own landscape design business, at the age of 23, in 1895. She did marry, at 41, after she had designed gardens for some of the most prestigious homes in Connecticut and across the U.S, including the White House. An avid gardener herself, with a degree in horticulture, Evans has combined her two greatest professional loves - landscape architecture and filmmaking - to produce the first documentary on Beatrix Farrand, the most successful female landscape architect in early 20th-century America, and one of the founders of the American Society of Landscape Architects, the only woman in the group. The film chronicles the life of Beatrix Farrand (1872-1959), the niece of Edith Wharton, who grew up in the privileged world of the East Coast elite and fought through the challenges of working in a male-dominated profession to design over 200 landscape commissions during her remarkable 50-year career. Beatrix Farrand married Max Farrand, chair of the History Department at Yale University in 1913. They lived in New Haven until 1925. The documentary takes viewers on a journey across the country to explore Beatrix Farrand’s personal story and many of her most spectacular gardens, including Dumbarton Oaks in Washington, D.C.; the Peggy Rockefeller Rose Garden at the New York Botanical Garden; Garland Farm in Bar Harbor, Maine; the Abby Aldrich Rockefeller Garden in Bar Harbor, Maine; and her California gardens. In Connecticut, Beatrix Farrand’s surviving best-known works include gardens at Hill-Stead Museum, Harkness Memorial State Park, and the residential courtyards at Yale University. The Fairfield Chamber of Commerce and Greater Norwalk Chamber of Commerce, will be taking their annual fall group trip to one of the most beautiful places in the world to visit … Portugal and Spain. Departing on Oct. 8 and returning on Oct. 15 (8 days 6 nights), everyone is welcome to join this much anticipated trip. The public, Chamber members, guests, friends and family are all invited to visit two of the most incredible countries on the Mediterranean, Portugal and Spain … and where powerful empires both rose and fell. Included in the trip: Lisbon, Seville, Granada and Madrid … with an optional, 3 day/2 night extension stay in Barcelona. Chamber trips are affordable, while providing the same high-quality travel of other specialty tour groups. For those who may be interested in finding out more information, there will be a travel overview presentation by AAA Northwest, at 5:30 p.m. at The Westport Inn (Saugatuck Room), 1595 Post Road East, Westport. Light appetizers and soft beverages will be served, sponsored by AAA Northwest and the two Chambers. Attendees will see photographs, videos and hear about all the beautiful cities, towns and ruins, from centuries ago. Open to Chamber members, friends and family, this is a fully escorted vacation tour to Portugal and Spain! Visit cities, towns, cathedrals and temples as you travel through kingdoms of old, while viewing stunning mountainous scenery and charming villages. On this splendid journey, you’ll trace years of Spanish history while exploring the country’s treasures, including the very famous Alhambra Palace! Walk the footsteps of Kings and Queens throughout history, and view beautiful art and artifacts in museums where treasures and masterpieces are featured from long ago. Visit world-class art collections, charming towns, fabulous restaurants, shopping and sweeping hillsides, full of captivating and impressive architecture. Trip reservations that are made by May 10, will receive a $100 discount off the regular tour price. With the early bird discount, the starting price is $3,099, double occupancy. So if you are interested in learning more about the trip, please call the Fairfield Chamber of Commerce: 203-255-1011 to reserve your seat for April 3rd — walk-in’s are also welcome. This trip is open and available to all interested travelers. School breaks are a great time for children to experience the hands-on learning activities offered at The Connecticut Audubon Society’s Center at Fairfield. The Spring Break Camp, which runs Monday, April 15 through Wednesday, April 17, offers several options. With a choice of full- or half days, one day or all three, campers will enjoy the variety of planned nature-based offerings, both outdoors and indoors. Weather permitting, we’ll head outside to explore the sanctuary and welcome back the animals and plants that have been hiding all winter. Learn the clues that animals leave behind, investigate plants that are first to flower and detect the difference between animal sounds. After the fresh air, we’ll come inside for games, stories, crafts and live animal presentations. The full-day camp runs 9 a.m.-4 p.m., CAS Members $96/day, Non-members $120/day. The half-day option runs 9 a.m-1 p.m., CAS Members $50/day, Non-members $75/day. Sign up for one, two or all three days. Snack is provided; please send a nut-free lunch. Spring Break Camp is held at the Center at Fairfield, 2325 Burr Street, in Fairfield. Pre-registration is necessary at: www.ctaudubon.org/2019/03/spring-break-camp-2/. For more information, call the Center at 203-259-6305, ext. 109. Daniel Green has always been alone; in fact, he prefers it. As a member of a secret organization, he travels across the country creating strange works of art that leave communities mystified. But when a dying farmer hires him in a last-ditch effort to bring publicity to a small Vermont town, Daniel finds himself at odds with his heart. It isn’t long before he gets drawn into a family struggling to stitch itself back together, and the consequences will change his life forever. Erica Boyce is a graduate of Dartmouth College and Harvard University. She lives outside of Boston with her husband and a corgi named Finn. This is her debut novel. Copies of The Fifteen Wonders of Daniel Green will be available for purchase/signing. The Connecticut Chapter of the American Institute of Architects in collaboration with the Fairfield Museum and History Center will be hosting a talk from John Milnes Baker, AIA, on April 2 at the Fairfield Museum and History Center at 370 Beach Road, Fairfield, which will examine the house styles throughout the global landscape to identify influences and the materials used throughout North American architectural history. Comparisons between modern design will be drawn, along with an explanation of how to remain authentic when working on new projects. The lecture will delve into developing architects’ critical thinking in distinguishing between perceived wisdom, from actual facts when designing or renovating historical homes. This lecture is open to the public and offers continuing education credit to members of AIA Connecticut. Baker is a renowned architect who specializes in residential design — new houses and remodeling, as well as historic preservation and restoration. He began his career by gaining his Master of Architecture degree from Colombia University, and proceeding to work as a designer draftsman under Sir Basil Spence, RA PPRIBA in London. Coming from a family of architects, he decided at a young age that architecture would be what he pursued. He has been a member of AIA Connecticut for over 50 years, is registered with the National Council of Architectural Registration Boards in Washington D.C. and belongs to the Society of Architectural Historians and the National Trust for Historic Preservation. Mr. Baker is the author of “How to Build a House with an Architect,” and “American House Styles: A Concise Guide,” with a newest edition released in July of 2018. All of the hype surrounding college admissions is challenging enough without the addition of the current admissions scandals in the news. This is just the time to get some practical, honest and sensible direction with educational consultant Mary Spiegel. Spiegel returns with her popular program, “Mapping Your Road to College,” on Tuesday, April 9 at 6:30 p.m. at the Fairfield Woods Branch Library, 1147 Fairfield Woods Road. A review of how to research, apply and get in to the colleges that best fit your needs, this presentation gives a clear overview of the steps to take towards a plan for success in the coming months and years, including a general timeline of what to do when. This presentation is helpful for 9th and 10th graders looking to get a head start and for juniors who are launching their college search. For high school students and their parents; registration is requested. Mary Spiegel is a certified educational planner with over 20 years of college admissions experience, both as a director of admissions and as an independent educational consultant. All programs at the Fairfield Public Library are free. To register, or for more information about this and other programs, visit online at: fairfieldpubliclibrary.org, or call 203-256-3160. Follow the Fairfield Public Library on Twitter @fairfieldpublib and Facebook @fairfieldlibrary. Power up your personal brand and network with LinkedIn, the world’s premier professional networking site. It’s time to rethink how you use LinkedIn to position your brand; share thought leadership; and build a meaningful network. LinkedIn specialist Sandra Long will show how you can: be memorable by demonstrating your uniqueness for employers, potential clients, and business partners; be found by optimizing your LinkedIn profile and experience; and be a thought leader by demonstrating your expertise using LinkedIn’s newest content sharing options, publishing, and profile features. Join us on Monday, April 8 at 7:00 pm in the Rotary Room at the Main Library, 1080 Old Post Road. Registration is requested (https://fplct.librarymarket.com/node/2837). Sandra Long is the author of LinkedIn for Personal Branding: The Ultimate Guide. She is the owner of Post Road Consulting LLC in Westport and Stamford which provides independent LinkedIn training, coaching, and consulting. All programs at the Fairfield Public Library are free.